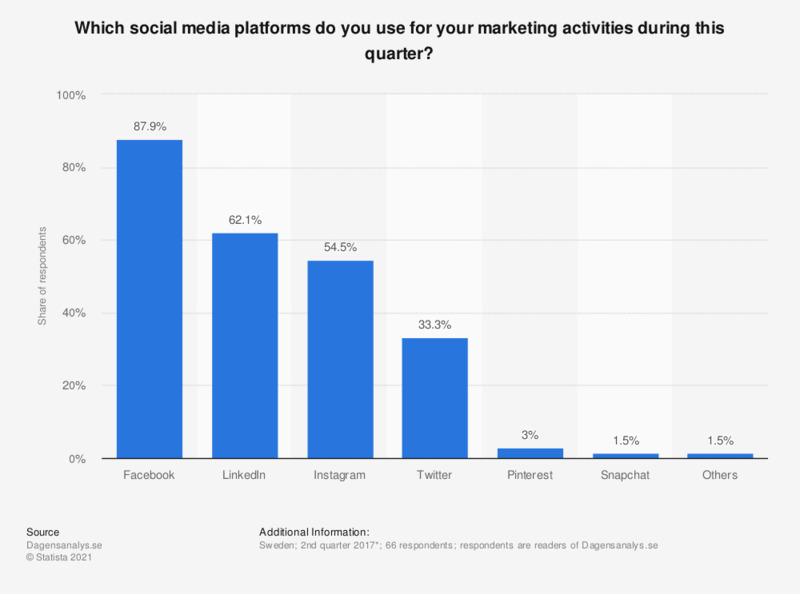 This statistic shows the results of a survey on the usage of social media platforms for marketing activities in Sweden during the 2nd quarter of 2017. Most of individuals interviewed stated to have used Facebook (87.9 percent) as a marketing channel. In second and third place came the business- and employment-oriented social network LinkedIn (62.1 percent of respondents) and Instagram, with 54.5 percent of surveyed people. This question was phrased by the source as follows: "Vilka sociala medier använder ni i er marknadsföring under detta kvartal?"